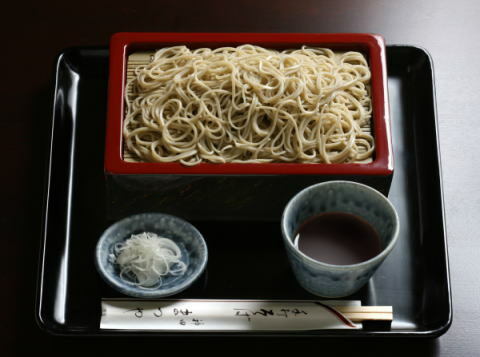 Jimbocho’s Mikasa is a temple to yakisoba, even the noodles are made from scratch here. Yakisoba is a humble dish. Noodles stir-fried with vegetables and a protein and seasoned with a sauce or salt and dusted with aonori, an aromatic sea vegetable. It’s a messy dish and is not photogenic, but would win a congeniality contest as everyone seems to love yakisoba. There is often a line at Mikasa, no matter the time. Weekends can have up to 50 people in line when the shop opens. 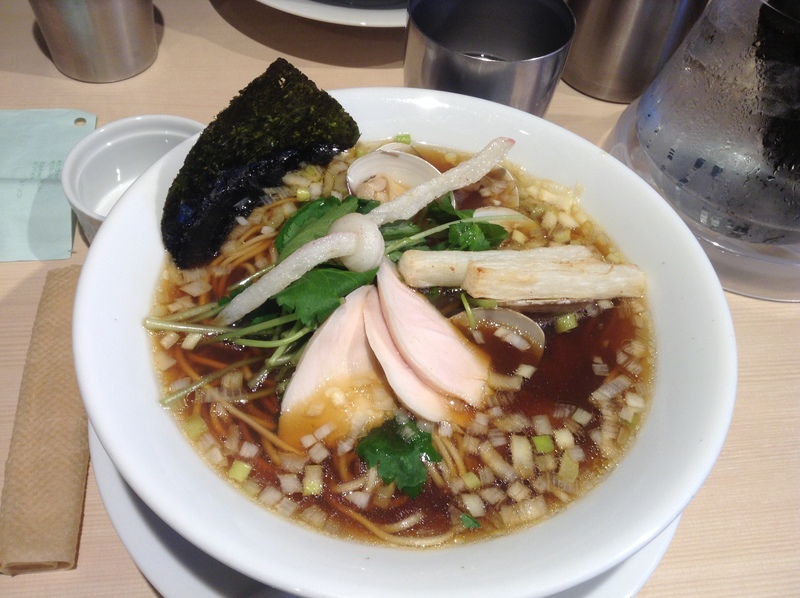 It’s a cheap meal, 700 JPY, considering the handmade noodles are made with Hokkaido wheat. 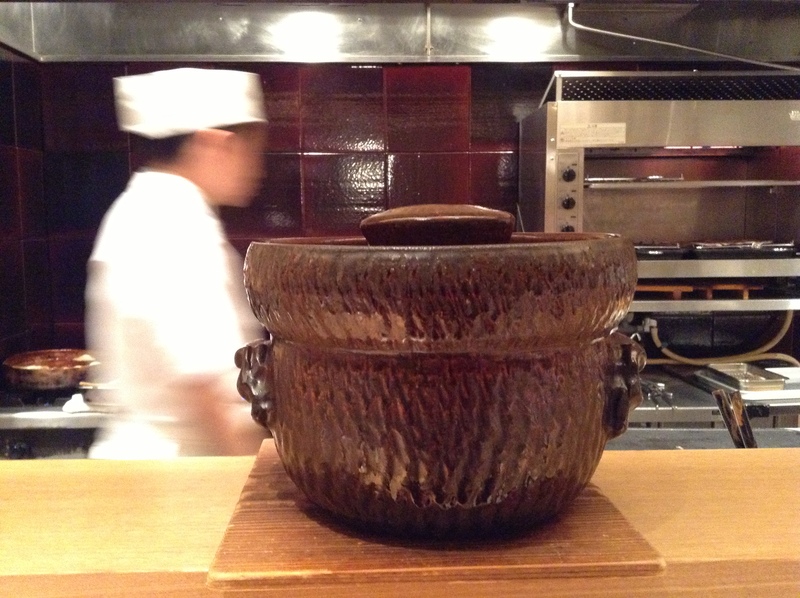 Each dish is made to order, starting with boiling the noodles. Boiling the fresh noodles allows them to keep a chewy texture. Just order the spicy sauce or salt and the size, an oomori extra portion of noodles is free.All of the sauces used are made in-house. 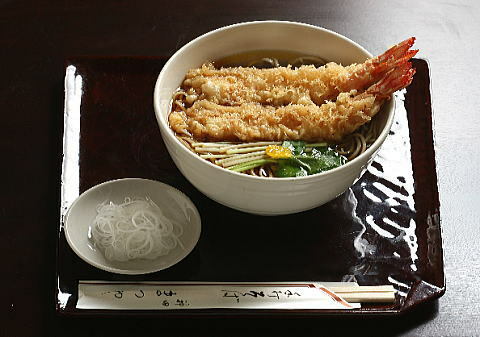 For an additional 150 JPY you can add some squid and shrimp. Mikasa is a sliver of a restaurant. Be sure to check out the space behind the counter where the chefs are. Tiny. The space for the customers is not much bigger. Imagine squeezing behind these folks to get to your seat. I don’t think this would pass any fire code in the US. Note only 120 portions are made each day. Order from a vending machine in the front of the shop. Below is some Japanese to help. 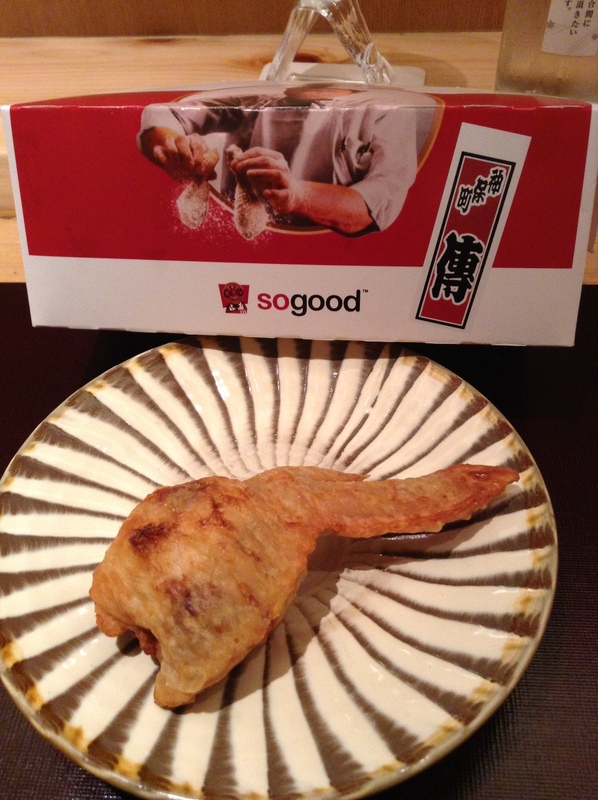 Gyōza is to me the perfect dumpling. Pork and cabbage stuffed into a wrapper then cooked until the crust is crispy while the filling remains juicy. 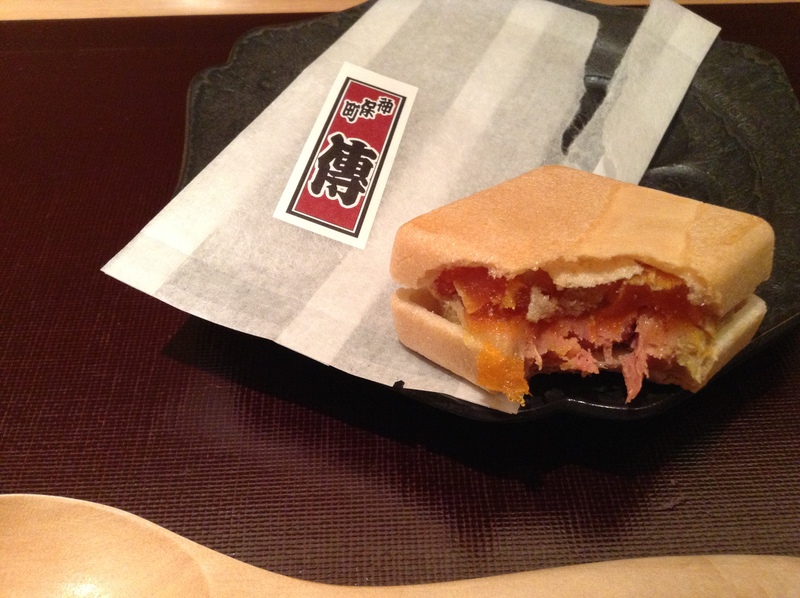 I’ve started many mornings with gyōza for breakfast. 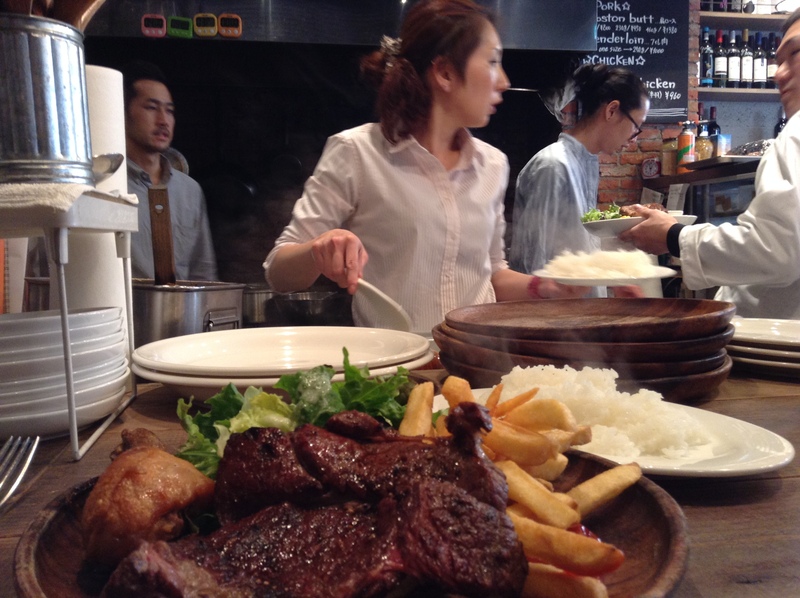 While many restaurants serve gyōza as a side dish, it’s nice to know there are some places where it’s the main dish. 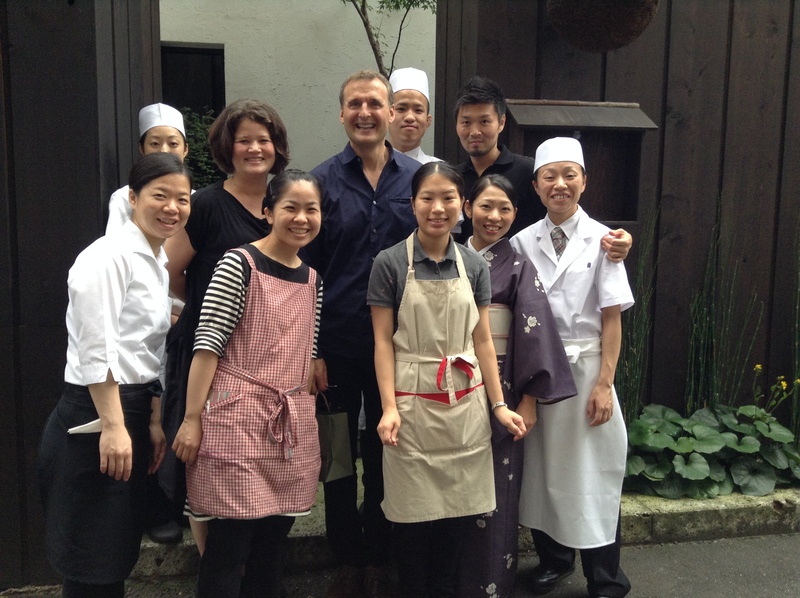 Suito Pozu has been serving gyōza since 1955. I love how these are wrapped. It’s how I do it when I am in a rush to get dinner on the table. Leave two ends open and just seal it shut. You just need to be careful when cooking it, but the final results are still delicious. 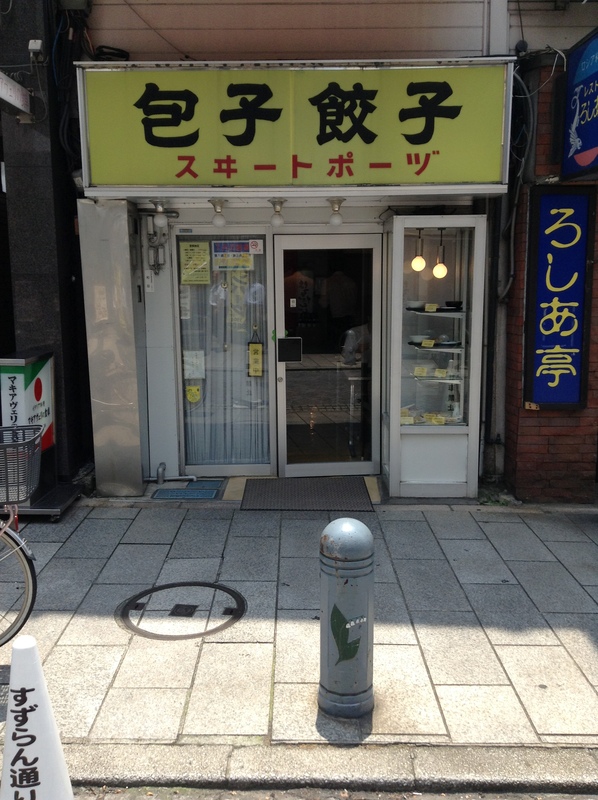 It’s a popular restaurant and very small, only 24 seats. There was a line of about five people just before it opened for lunch recently. After the doors opened it was full within about ten minutes. Service is fast and it’s a quick meal. It’s a good thing that it was a fast meal as the air-conditioner is on the fritz and it was very hot in the restaurant. No garlic in the gyōza if you come during the workday. The only thing I didn’t like was that it doesn’t have rayū chili oil, but only chili powder. 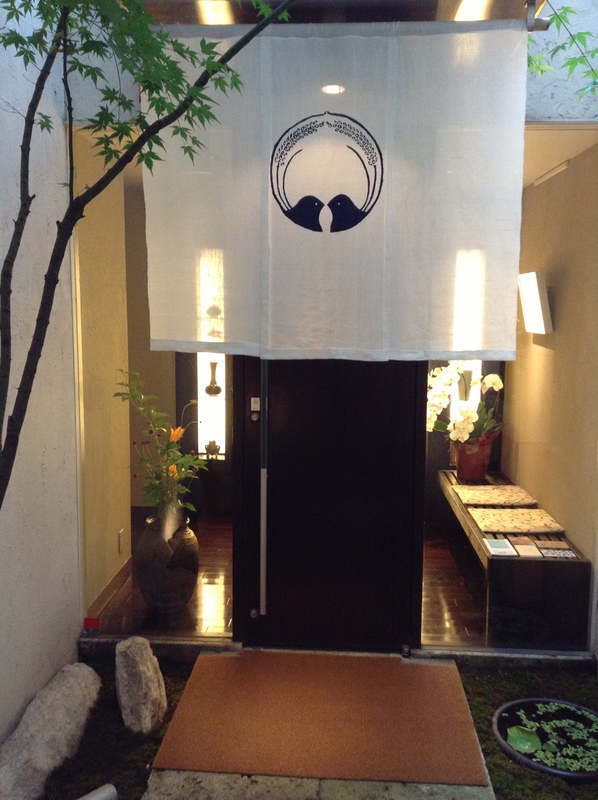 I’d like to come back in the evening when the gyōza is also steamed. 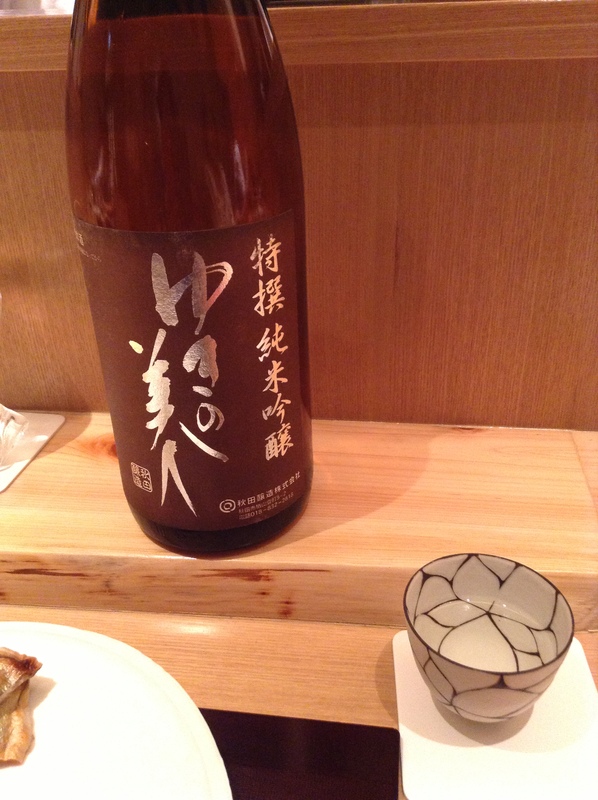 Asamayama Natsu-Jun, or summer Junmaishu, was rich enough to stand up the fish course. 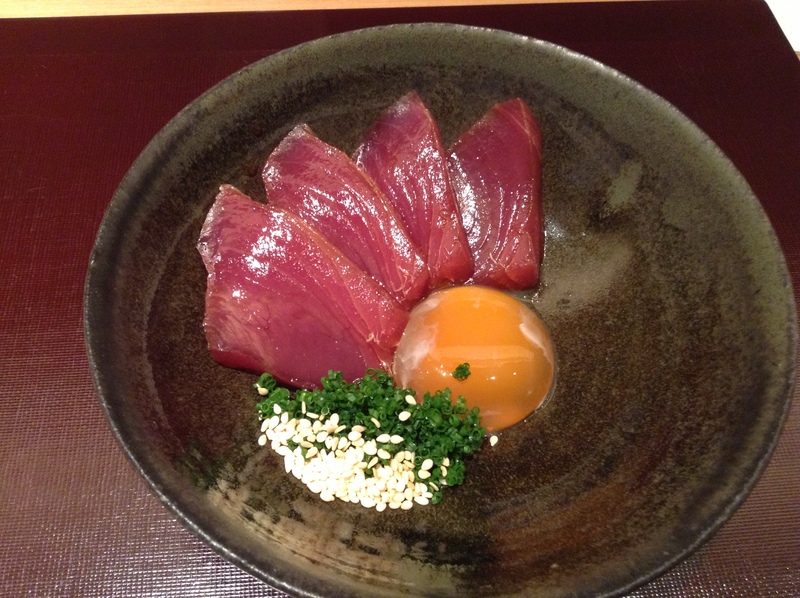 Katsuo-zuké, skipjack tuna marinated in soy sauce, is a dish we eat at home, but this was so much more upscale. 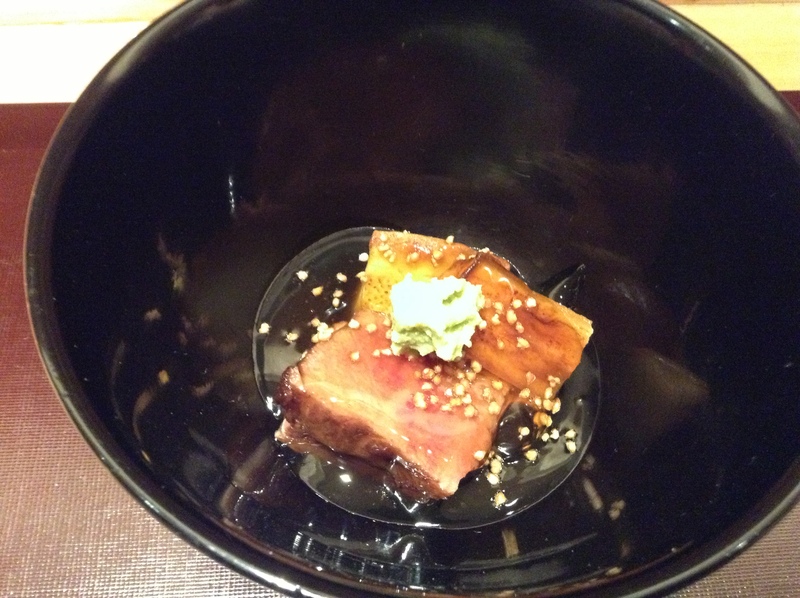 The katsuo was marinated for a much shorter time than we do at home. 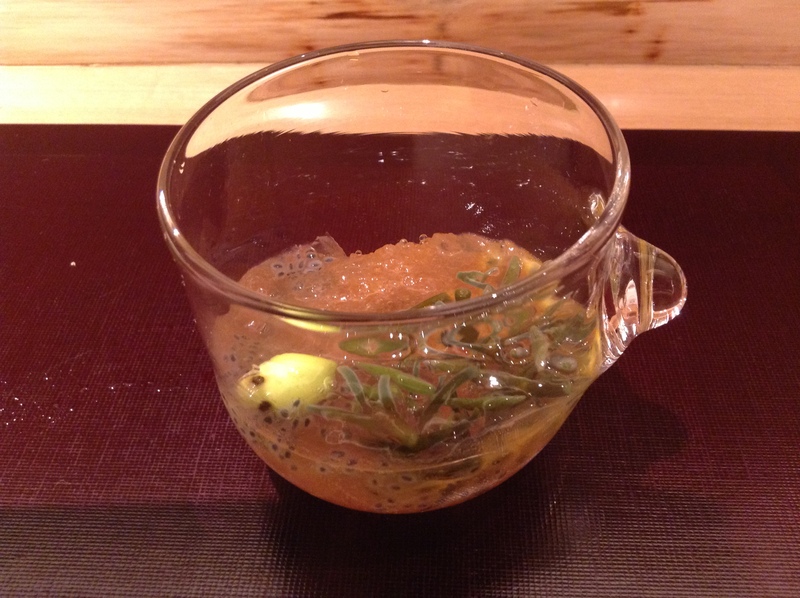 Also, I loved the egg yolk that was marinated in dashi. There is a trick to get his texture but I don’t want to reveal too much. 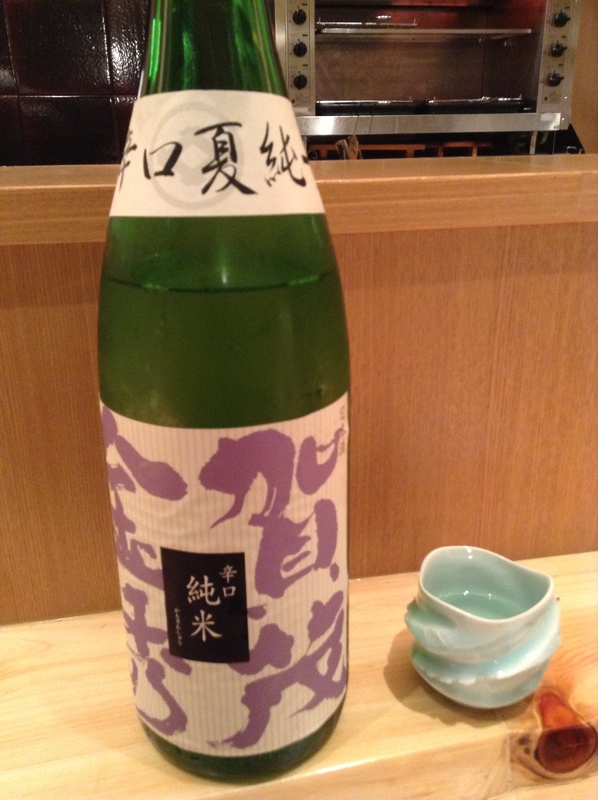 Akita prefecture’s Yuki no Bijin (Winter Beauty) is an appropriate name for a saké as Akita is snow-filled for most of winter. 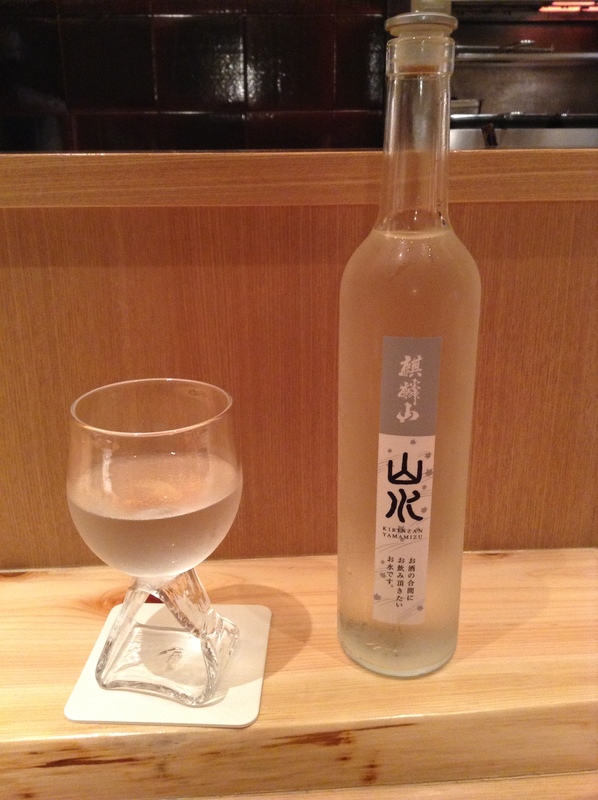 This snow melts and contributes to the delicious water used for making Tohoku saké. 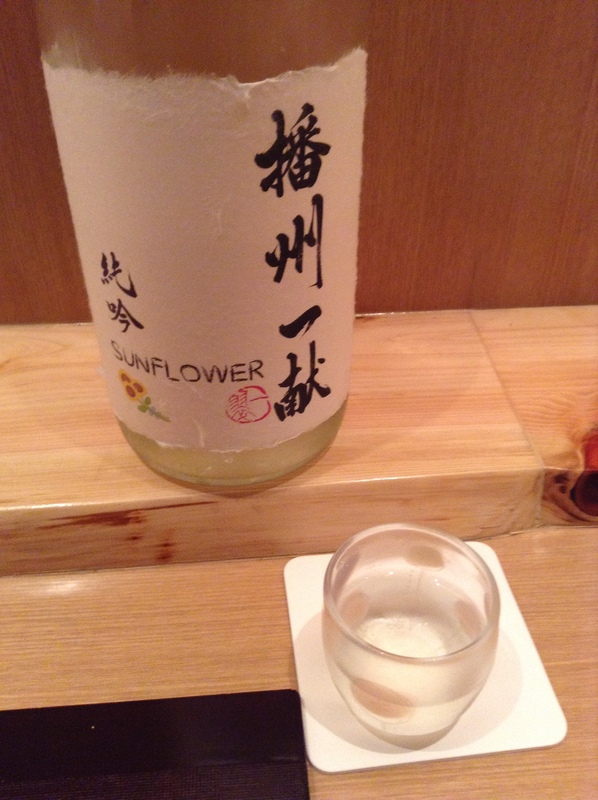 This was a Tokubetsu Junmai Ginjo. Check out the beautiful glass it is served in. I was so curious about this ceramic as it had a rich texture. 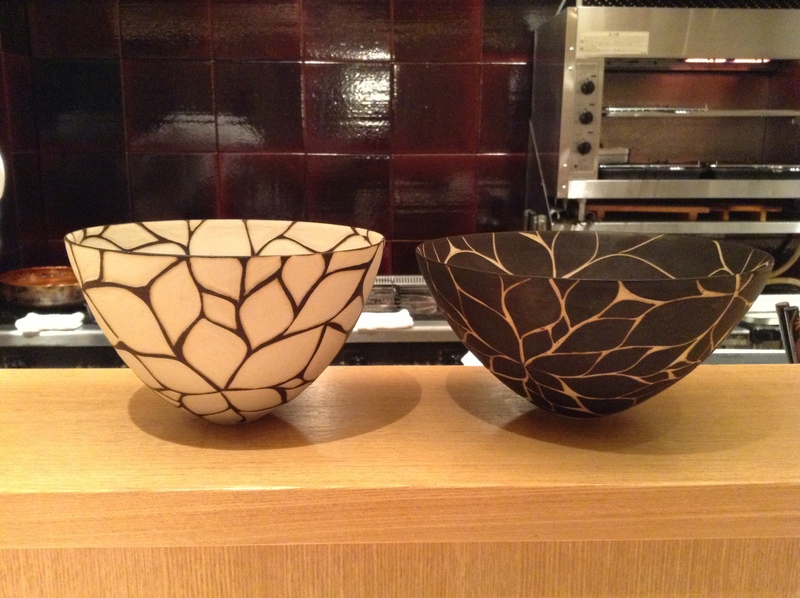 Chef Hasegawa brought out some bowls to show me the beautiful work of this potter from Mashiko in Tochigi, just north of Tokyo. The potter carefully etches or scrapes out the black parts to show the interior white. 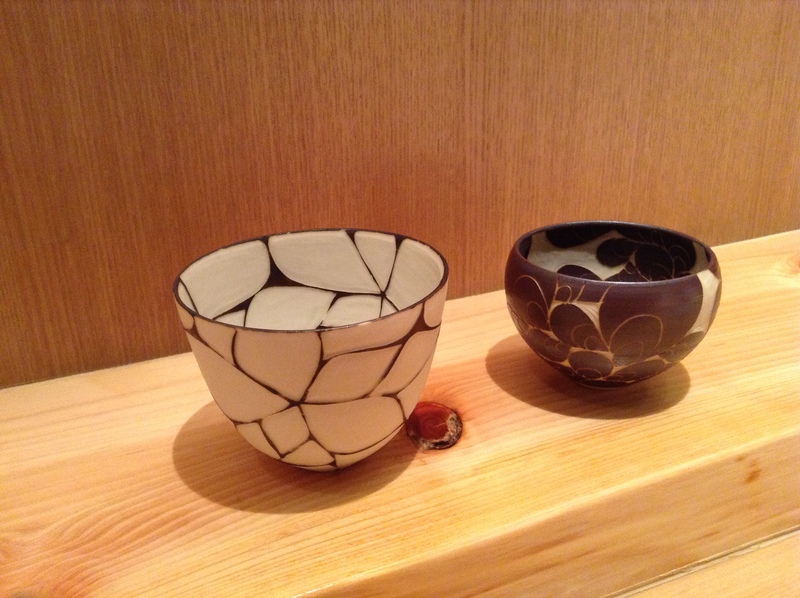 My neighbor happened to be drinking from a saké cup also by the same potter. Gorgeous. 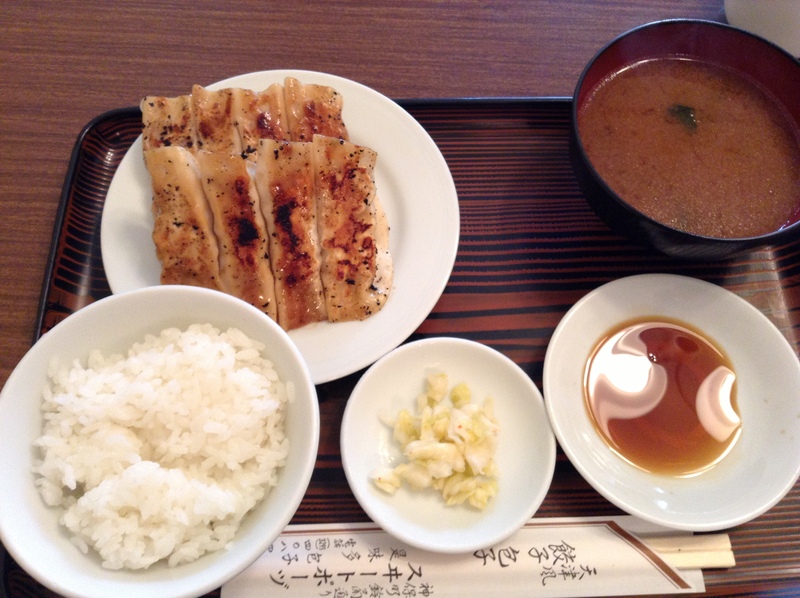 Ayu is a summer river fish in season now. 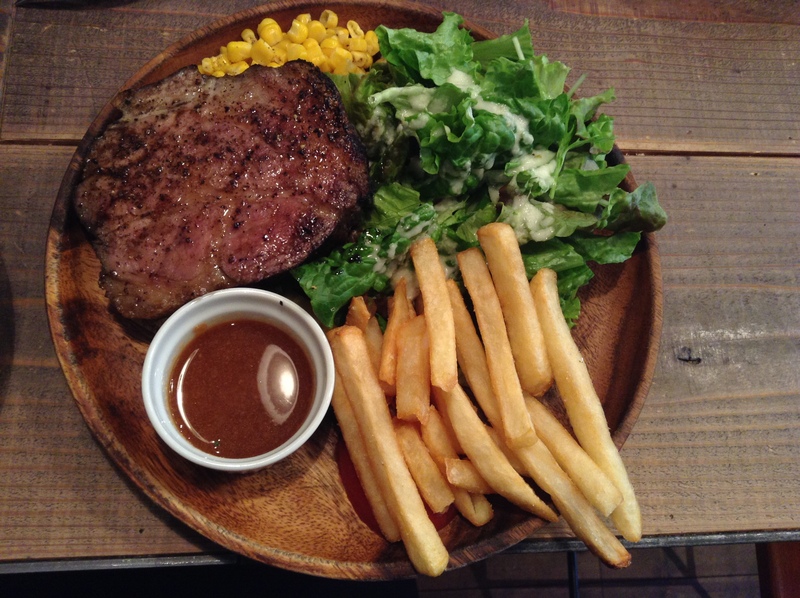 Most times it is simply salted and grilled, which is of course delicious. Tonight was my first time to try ayu as himono. The fish is butterflied, guts removed, and then marinated in salt water for a brief period and then air-dried. Just before serving it is grilled. The whole fish is edible, head to tail. 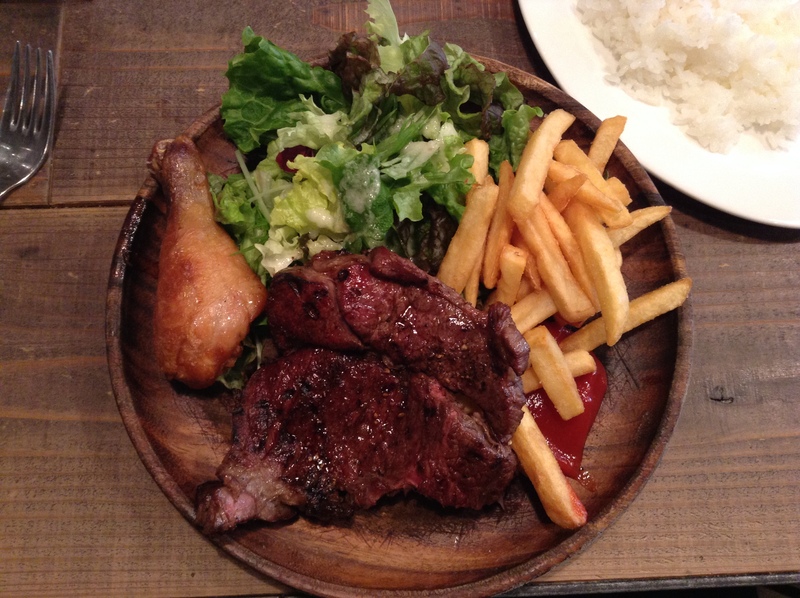 “Rich in calcium,” said the server in Japanese. 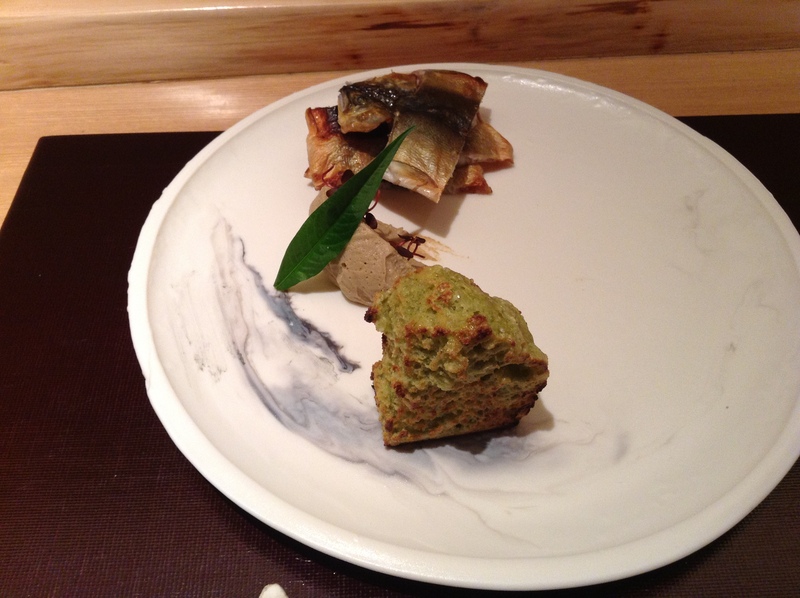 In the middle was liver mousse from the ayu. Very rich in flavor, but a light mousse. And the green cake on the bottom is a steamed bread made with tadé no ha (water pepper leaves) and rice flour. It is first steamed until cooked through and is light and fluffy. Chef Hasegawa then grills it under a direct flame to give the edges some crispy texture which is like the cooked edges of the ayu. Brilliant dish that can only be had here at Den. 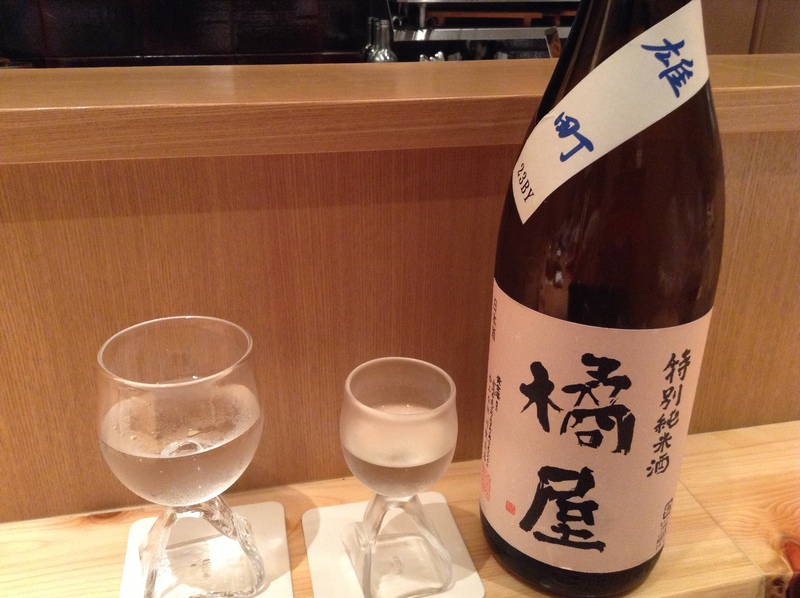 Haneya Junmai Ginjo Nama Genshu. The cup looked like it was made by a girl. 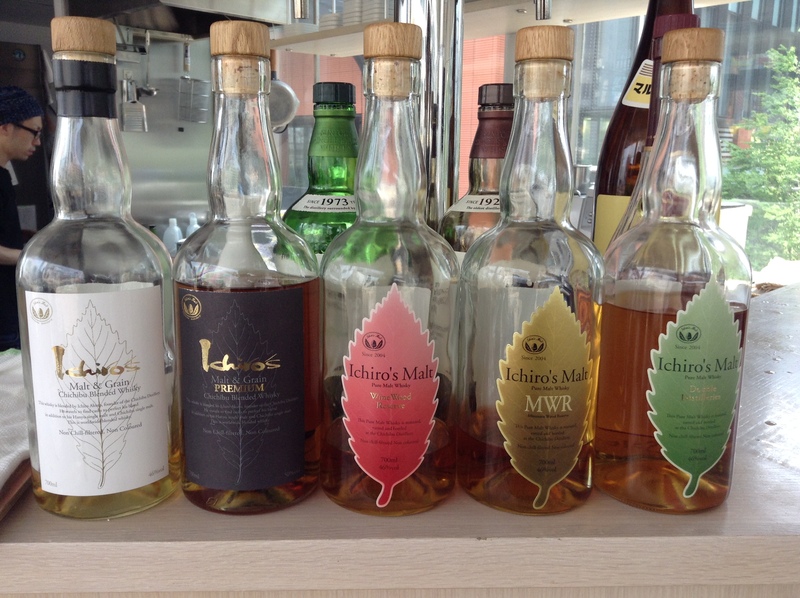 When I asked about it they said yes, Midori Uchiyama, I believe from Tokyo. The bottom of her pieces either have a “M” for Midori or “Mid”. 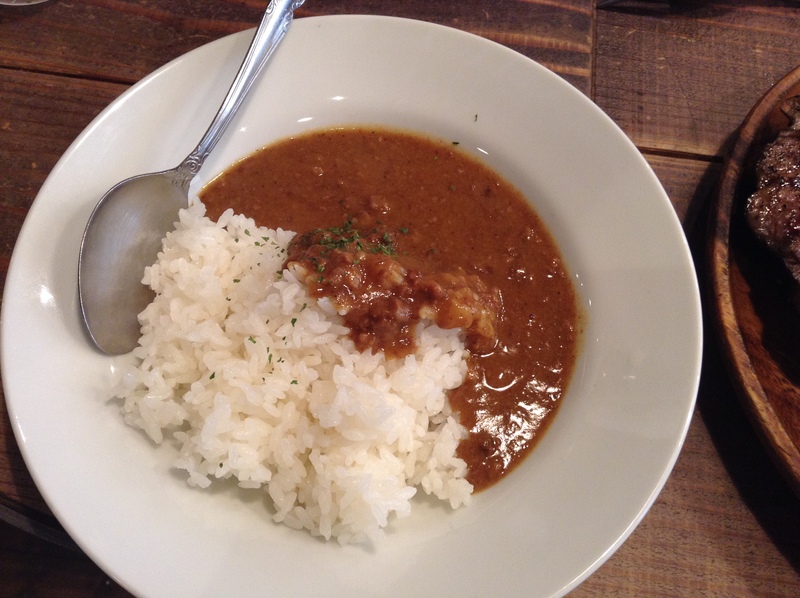 Here is his signature dish that comes with every meal, no matter what time of year it is. 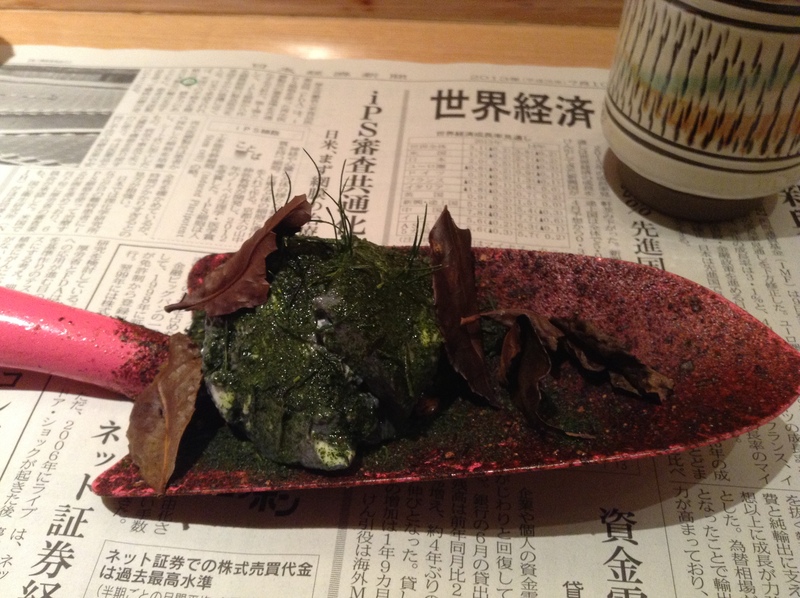 He calls this dish “Hataké no Yōsō” or the state of the farm. 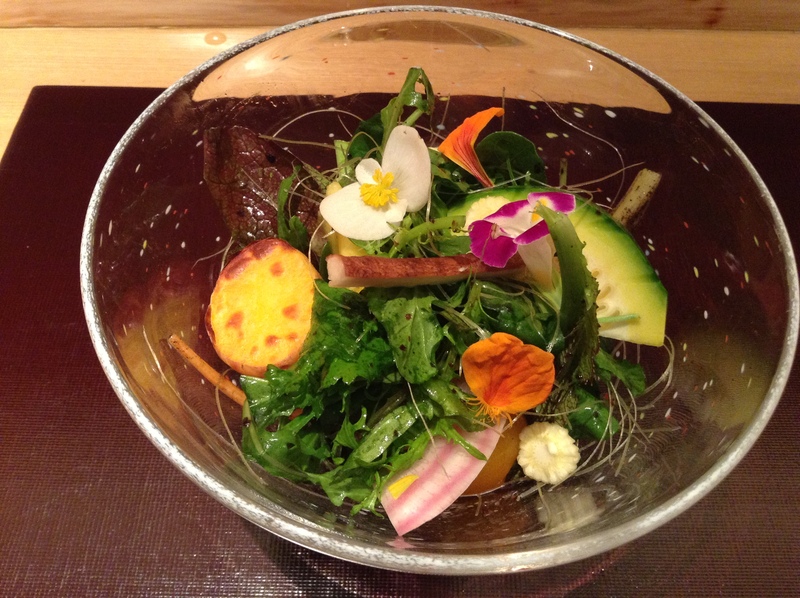 There were over 20 vegetables and flowers in the salad bowl, including baby kabocha squash and corn silk. He treats many vegetables individually, either roasting or pickling in a sweet vinegar, or even deep-frying. Giving a variety of textures and flavors. Brilliant dish. I wish I could eat this everyday, or make this at home, but I can see it’s a lot of prep. 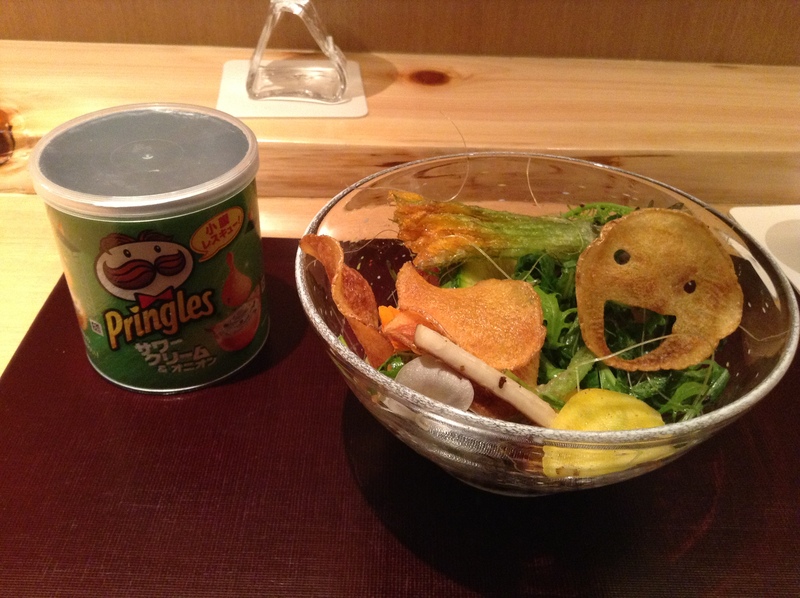 Pringles canister containing Den potato chips – check out the smile! And, a zucchini blossom that was deep-fried. 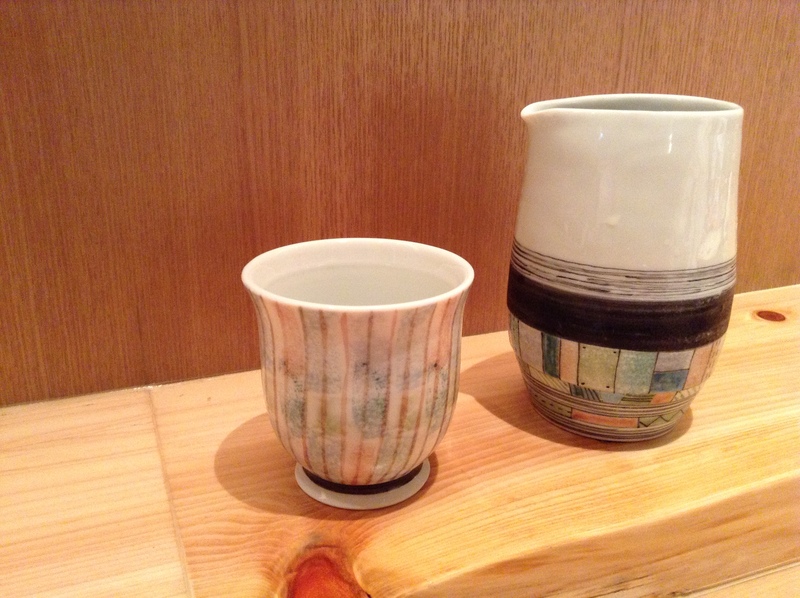 Here is Midori’s sake cup and tokkuri. 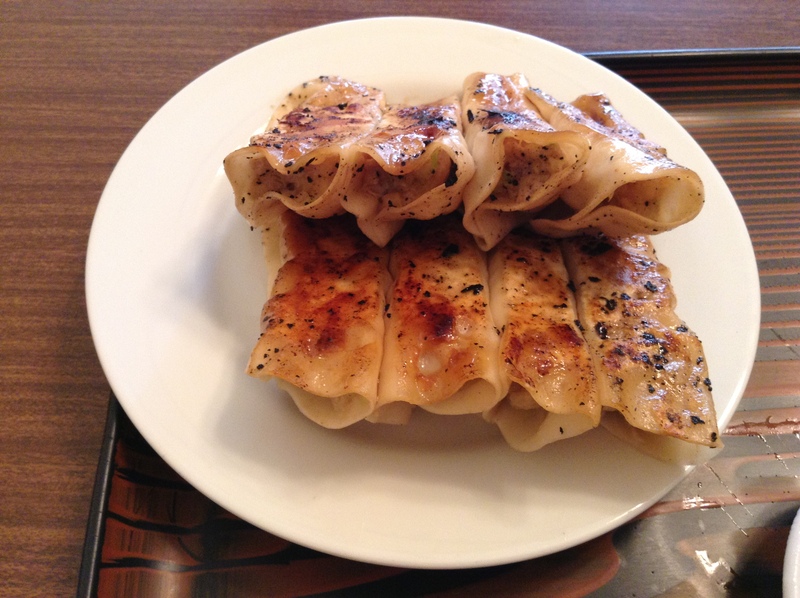 Tachibanaya Tokubetsu Junmaishu made with omachi rice. 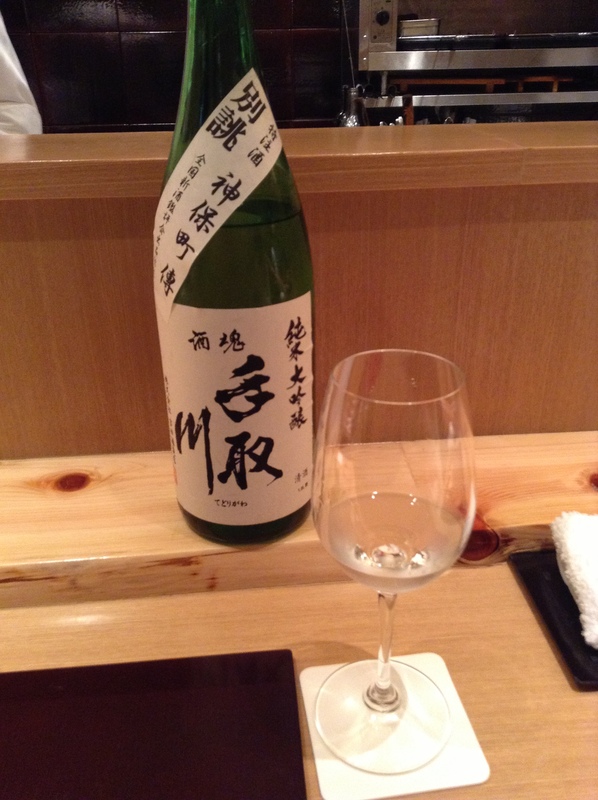 The sweetness of the sake paired well with the soy sauce ankaké sauce on the next dish. Again, a brilliant use of texture buckwheat grains on the sweet soy ankaké sauce over kuro wagyū from Hokkaido. 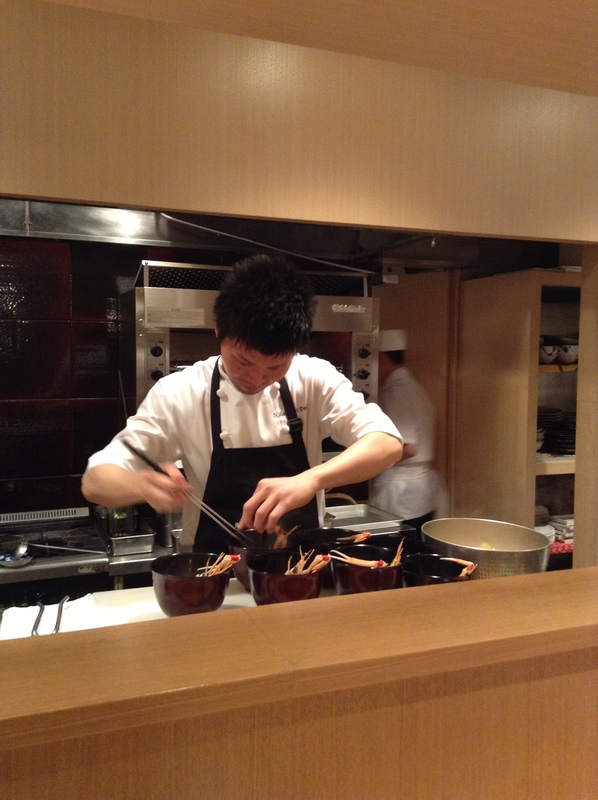 Chef Hasegawa assembling a dish for other guests (I’m allergic to shrimp, otherwise I think I would have had this). He was saying he had just returned from a trip to France and Italy and was inspired by bouillabaisse. 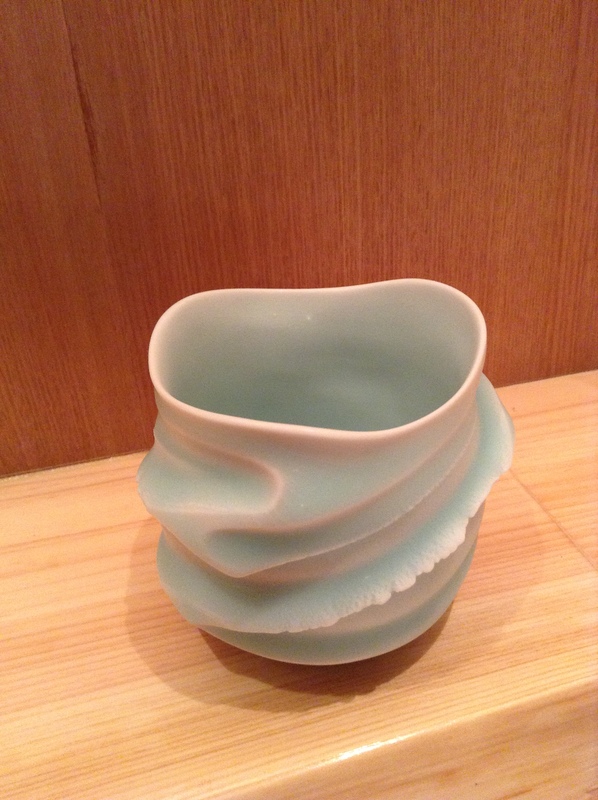 This saké cup was by far my favorite. 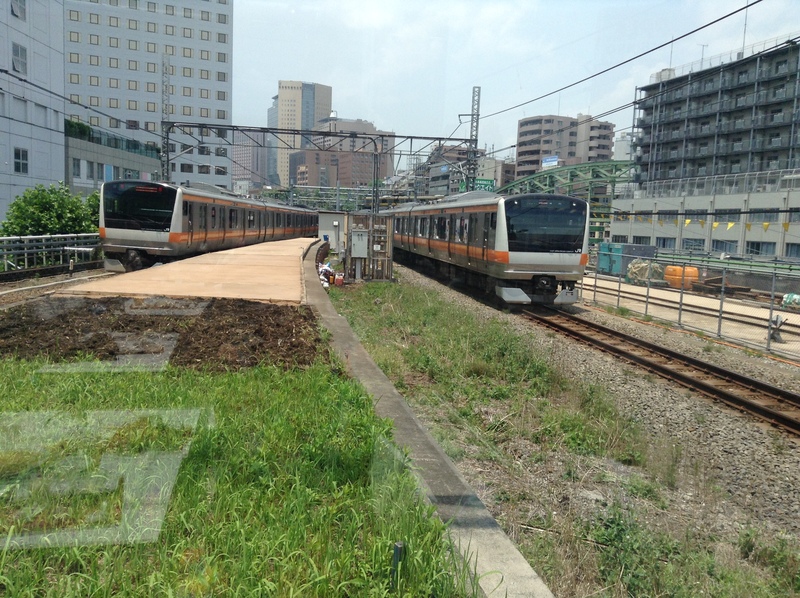 I had seen photos of it from the Kenshin Utsuwa facebook page. 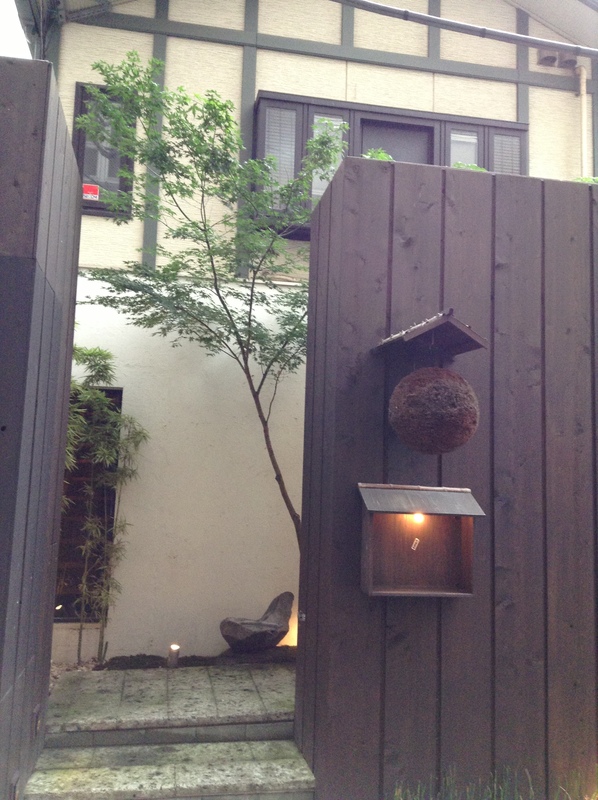 I loved the texture, the color, the rough exterior and smooth interior. 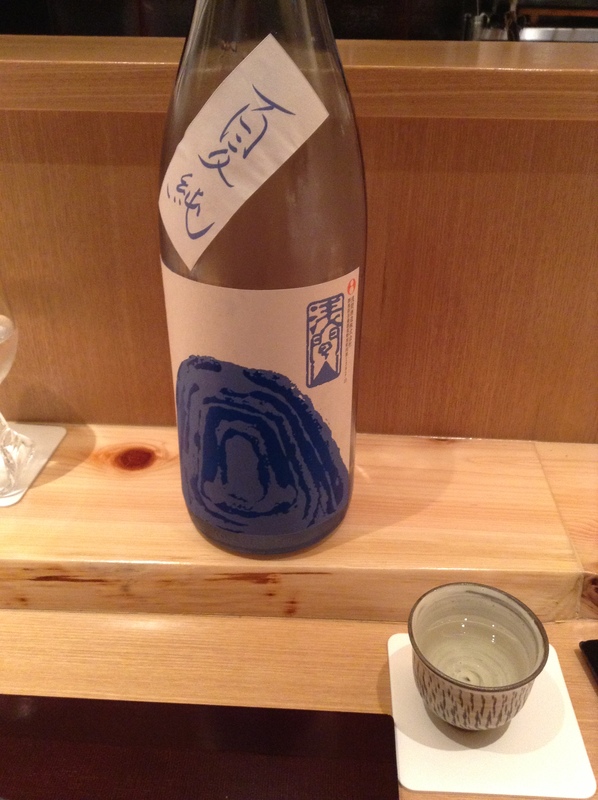 And, the saké tasted lovely in it. 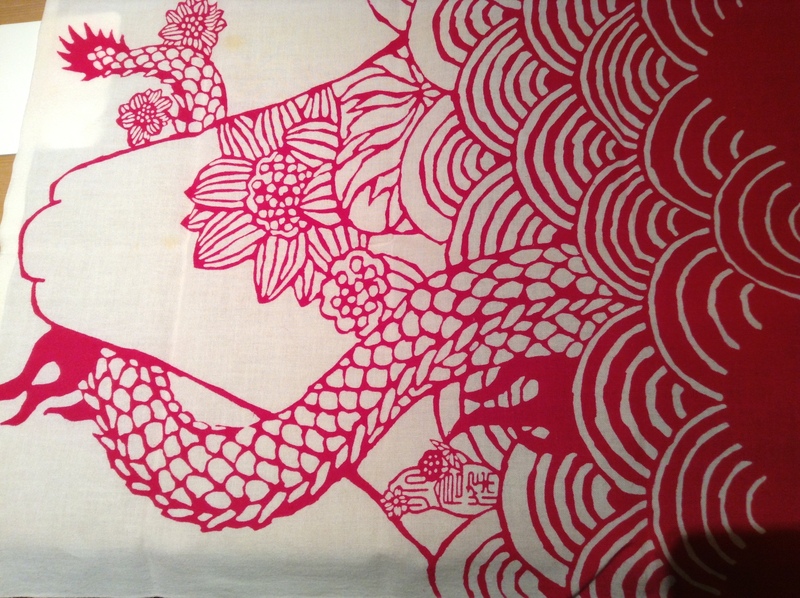 The artist also makes a tokkuri that my neighbor used that was gorgeous as well. I think I’ve found my next birthday present from me to me. The donabé with the rice for the shimé. 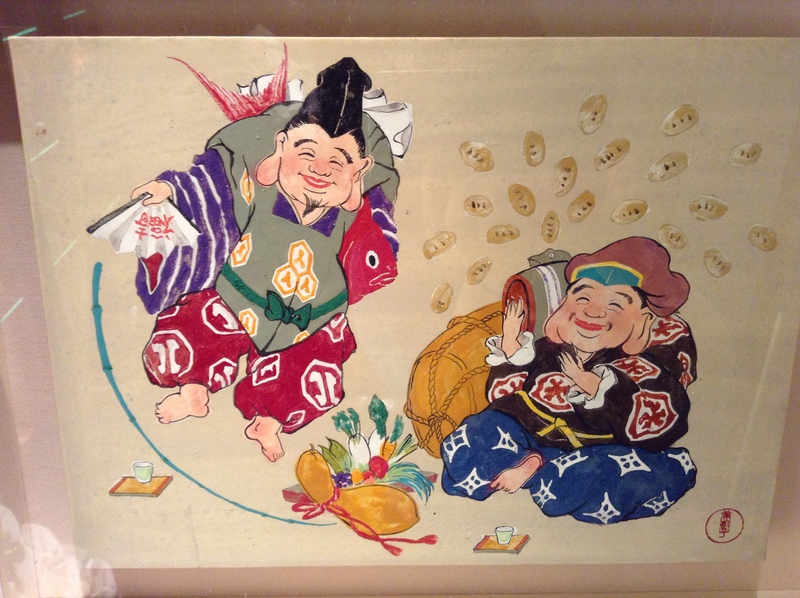 Kamo Kinshu Karakuchi Junmaishu. 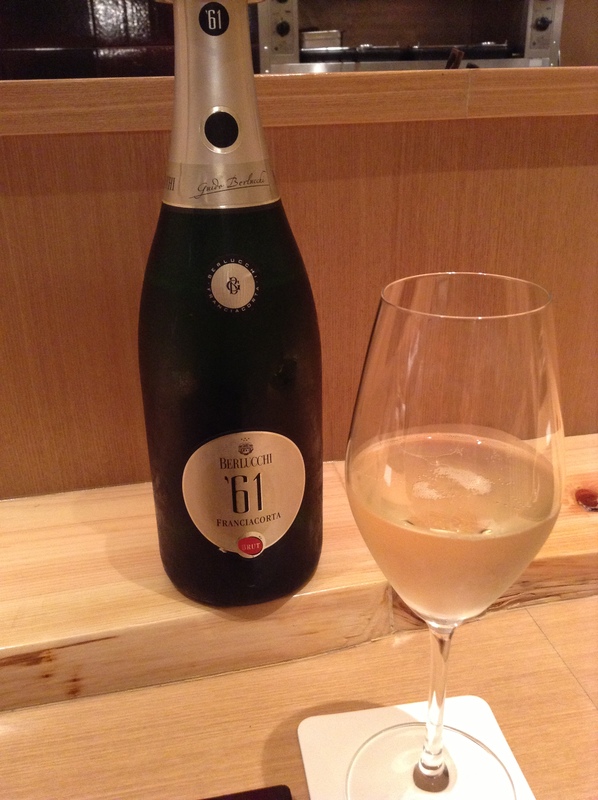 A little frizzante on the palate. The rice course was amazing. 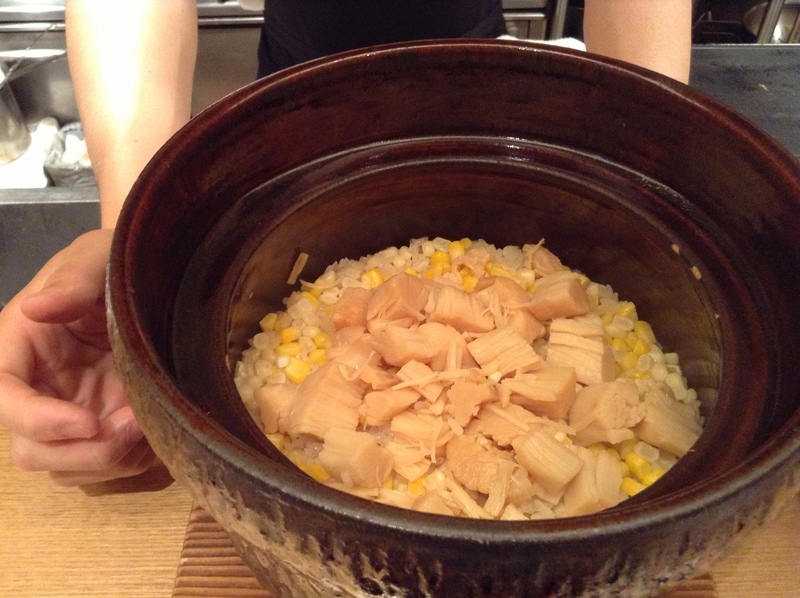 Sweet corn and scallops cooked in dashi before adding to the rice pot to be cooked with the rice. I wish I could make this at home, and will definitely try. I was getting full at the end of the meal so asked for a small serving of the rice. 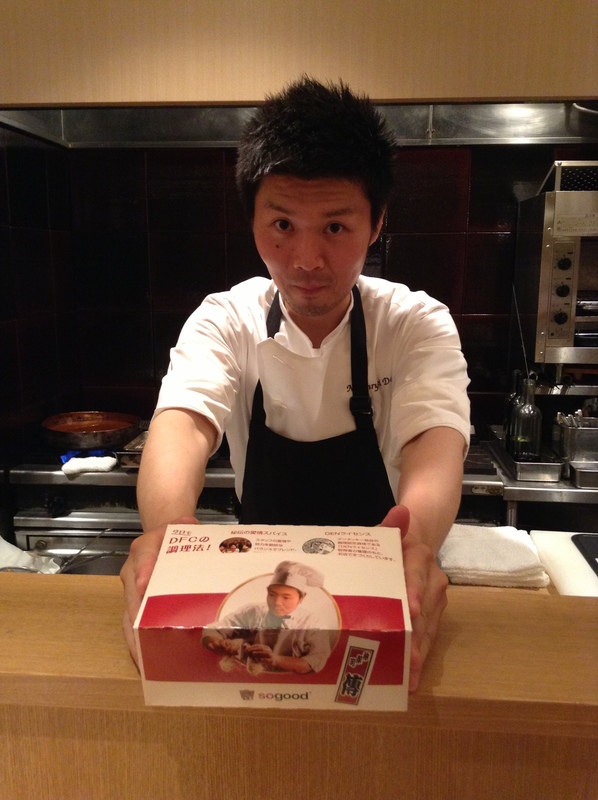 Chef Hasegawa made a rice ball for me to bring home to my husband. Very thoughtful. 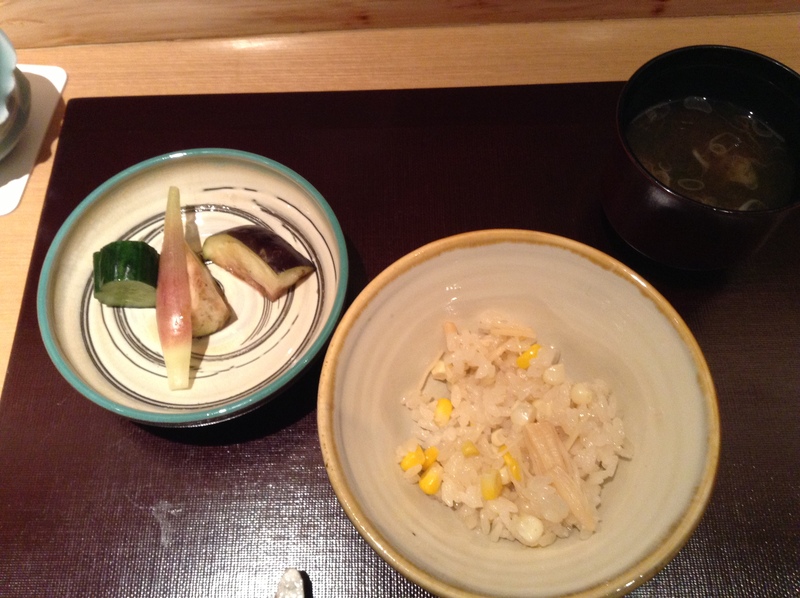 The rice was served with asazuké pickles made that morning and miso soup. And, dessert. Looking like the moss in front of the restaurant. I was so curious about it. It had to be edible, but all of it? 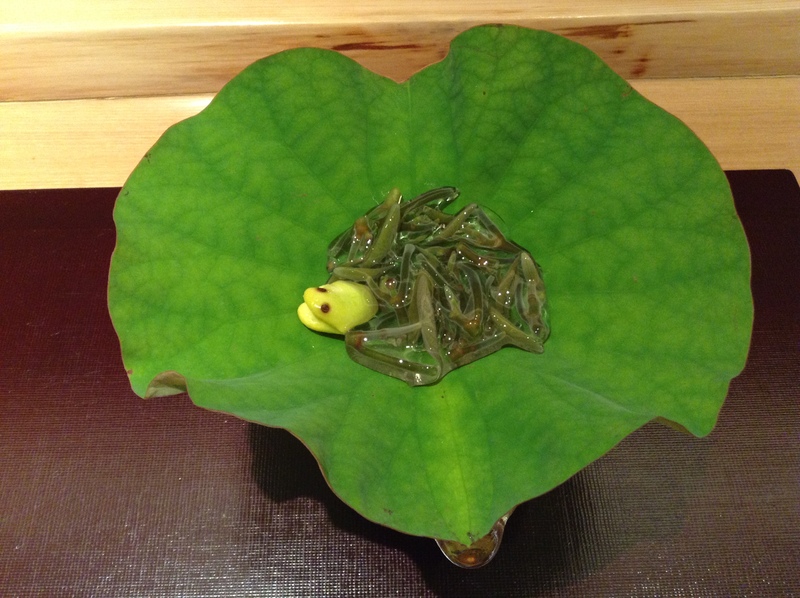 So I asked Hasegawa-san if I could eat it all, dried leaves and all. He said yes so I took a bite. 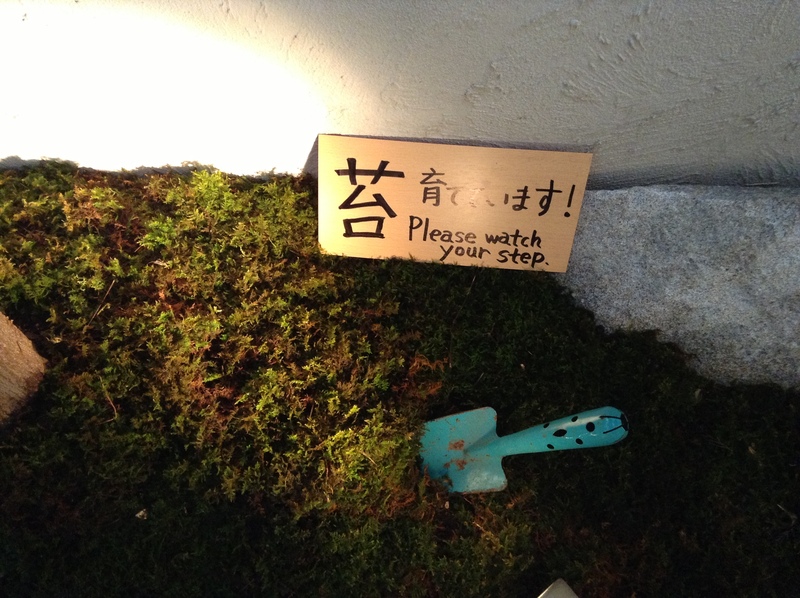 I was so curious what the dried leaves were. I had no idea, but it added a unique texture to the dish. “Tea leaves” he revealed. Dinner at Den is a night that you will remember for a long time. I can’t wait to go back. 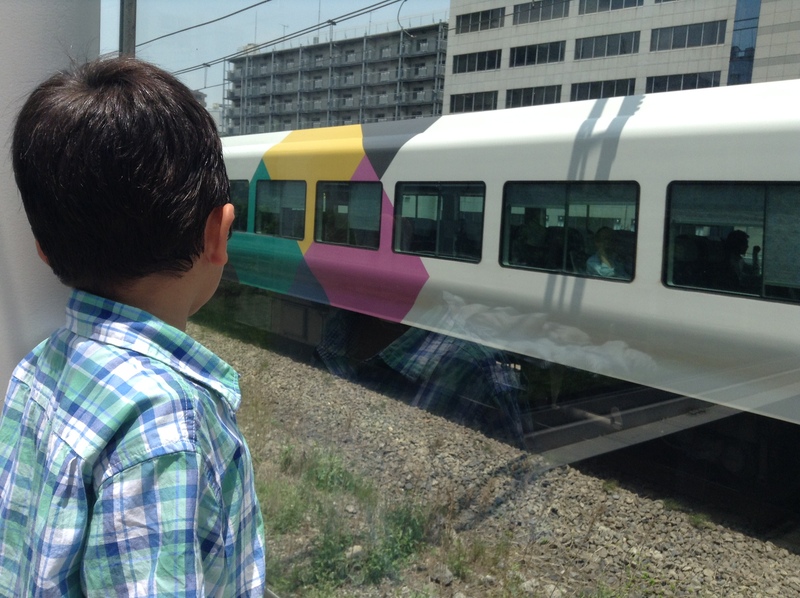 I spoke with my neighbors who come once a month, all the way from Yokohama. I hope someday to be a monthly customer as well. 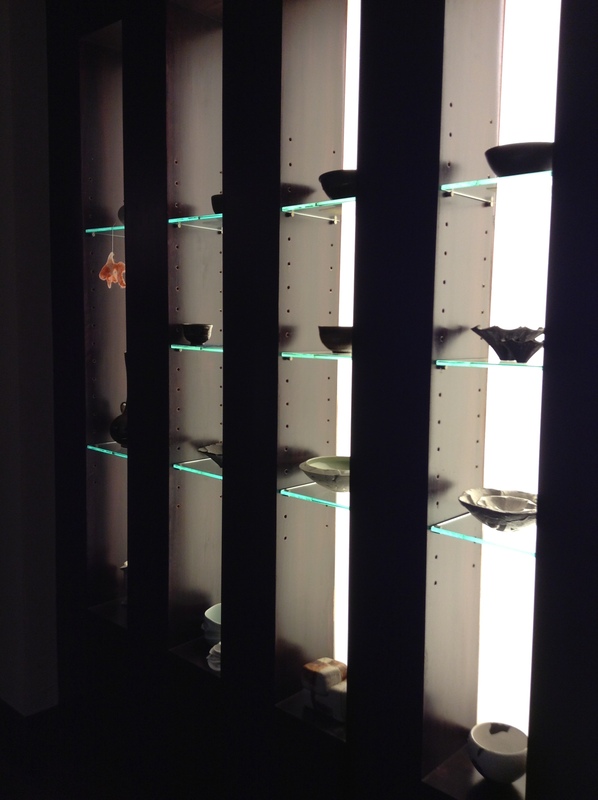 The atmosphere at Den is light and friendly, not stuffy and staid as some kaiseki restaurants may be. 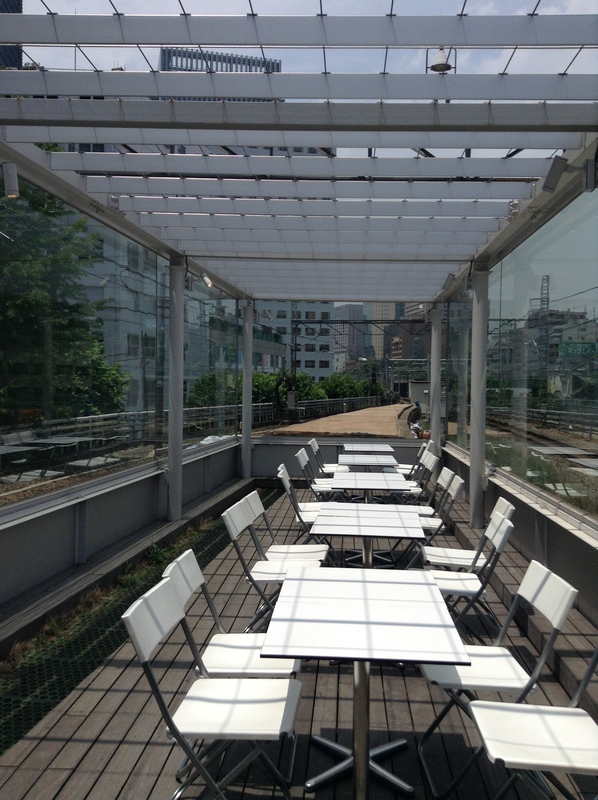 It’s fun and friendly and has amazing food served on gorgeous dishes. Even for a solo diner, it’s easy to sit at the counter by yourself and take it all in.